Brockbank Kindergarteners Enjoy Apple Day! Friday, Sept. 28, Kindergarten students at Brockbank Elementary celebrated Apple Day at school. The students participated in several different activities including tasting apples in several different forms; cut in slices, applesauce, pie, and juice; deciding which color of apple they like best, doing math and science activities involving apples, and illustrating their own apple books. It was a fun educational day that the students enjoyed. Read more about Brockbank Kindergarteners Enjoy Apple Day! Brockbank PTA Awards Walk A Thon Winners! Brockbank's PTA recently awarded prizes to the students that excelled in the walk-a-thon. The walk-a-thon was a great success with several students walking over 100 laps. Students that walked a 100 laps or more were given $10 gift certificate to the book fair and a coupon for a free mini pizza at Papa Murphys. Prizes were also given to the students in each grade that walked the most laps. Read more about Brockbank PTA Awards Walk A Thon Winners! Brockbank PTA along with Brockbank staff recently held their seventh annual walk-a-thon fundraiser. It was a great success with lots of support from the students and parents. Students, along with many of their parents, walked laps around a track set up on the grass field as a way to exercise and raise money for the school. It was a fun evening! The funds raised will purchase iPads and document cameras for classrooms for classrooms. Prizes, pizza, cotton candy, sno cones, and bake sale items were available throughout the night. Brockbank Second-Graders Enjoy Visit from the Rainforest Van! On Tuesday, September 25, Brockbank second-grade students were delighted to have a special presentation from instructors, Jackie Pendleton and Jessica Jones, of the Rainforest Van. The Rainforest Van is an education program offered by Living Planet Aquarium to second-graders. The seven continents of the world were located on a huge floor map rug and the tropical rainforest areas were highlighted with an overlay. Students pretended to travel to five of the continents where they were able to really see and touch many of the rainforest animals that are native to that area. Read more about Brockbank Second-Graders Enjoy Visit from the Rainforest Van! Brockbank Sixth-Graders Participate in a "Battle of the Greek Gods"! On September 13, the entire sixth-grade participated in a Battle of the Greek Gods. This was an all-day activity at Swenson park where the students rotated and participated in many team-building activities. Each rotation included a task that required students to use strategies and work together to solve a problem. Brockbank sixth-grade teachers and students want to thank all the parents for their support and help! The students could not have had such a great experience without them! Read more about Brockbank Sixth-Graders Participate in a "Battle of the Greek Gods"! Brockbank's Library Has Brandon Mull's New Book! We are lucky enough to have received an advance copy which is currently available in our library. To celebrate the launching of his new book Brandon Mull is hosting the largest Marshmallow War ever. When: Friday, October 26, from 4 - 7 p.m.
Come have a marshmallow war with tons of other kids and a fabulous author! Read more about Brockbank's Library Has Brandon Mull's New Book! This week Brockbank is happy to spotlight Mrs. Peggy Rothaug and Mrs. Patty Bradford. Fridays at Brockbank are "School Spirit Days"! Fridays at Brockbank are "School Spirit Days", each of the students are encouraged to wear their school T-shirts on this day. If they don't have school shirts they can wear the school colors (navy & maroon). The PTA is going to reward the classrooms that have the most school spirit throughout the year!! So wear your school spirit and help your class win!! Read more about Fridays at Brockbank are "School Spirit Days"! Tuesday, September 18, Brockbank kindegarteners in Mrs. Tara Farr's class had a very special visitor, Officer Roger Lowe from the Salem Police Department. He came to the class to talk to the students about personal and gun safety. He told the students that they should never go anywhere alone not even outside unless they tell someone where they are. He also told them they need to be responsible for their toys and bikes and make sure they are picked up at night and put away. 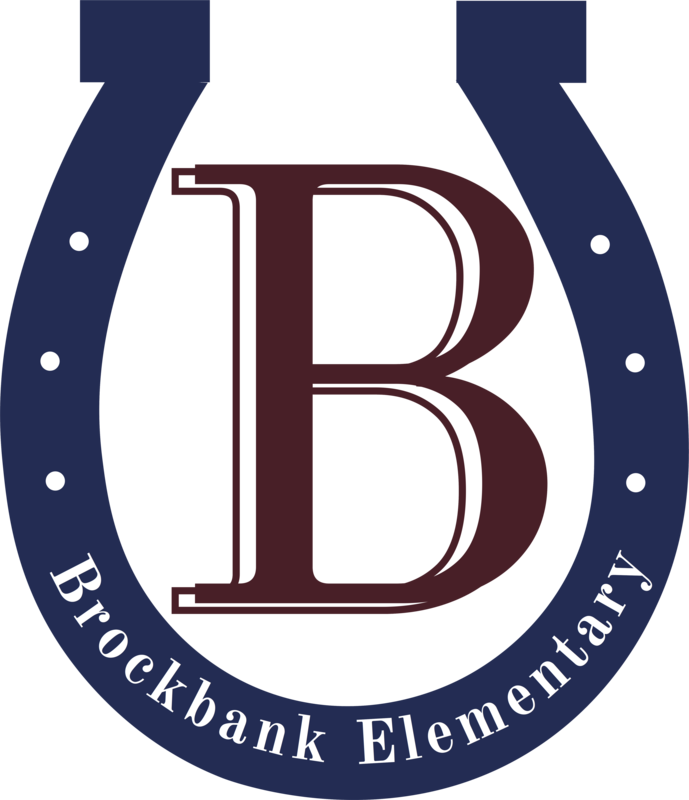 This week Brockbank is spotlighting Mrs. Laurel Koyle and Mrs. Jill Blanton.